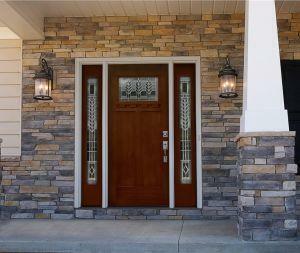 Make Sure to Choose a New Entry Door Wisely! It sits right there, smack dab in the middle of your home. It’s the first thing people see when they look at your home, and it’s something we use every single day – usually more than once. It’s kind of amazing when you think about it how important a role the front door plays in our home, and yet many people don’t give it a thought. The good news is that you don’t have to think about it at all – that’s our job. If you’re familiar with us at all, you know that we started Midland Exteriors so there would be a local company that people could trust to handle their home exterior needs across Kansas, including Manhattan, Topeka, and Emporia. Whether you know a lot about doors or absolutely nothing, you can rest assured that we will help you choose the best door for your needs and budget. 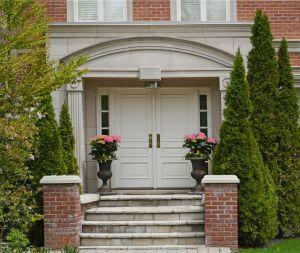 If you are wondering what kind of doors we carry the answer is (not surprisingly) some of the very best you will find anywhere, including storm and sliding patios doors made from steel fiberglass, or wood. Whatever you are looking for, we can customize a product to meet your needs. All steel edge construction, for the best security rating in the industry. Smart-Frame™ makes a watertight seal and is warranted for a lifetime against failure. Factory finished stain or paint colors offer maximum durability and can perfectly match your existing style. 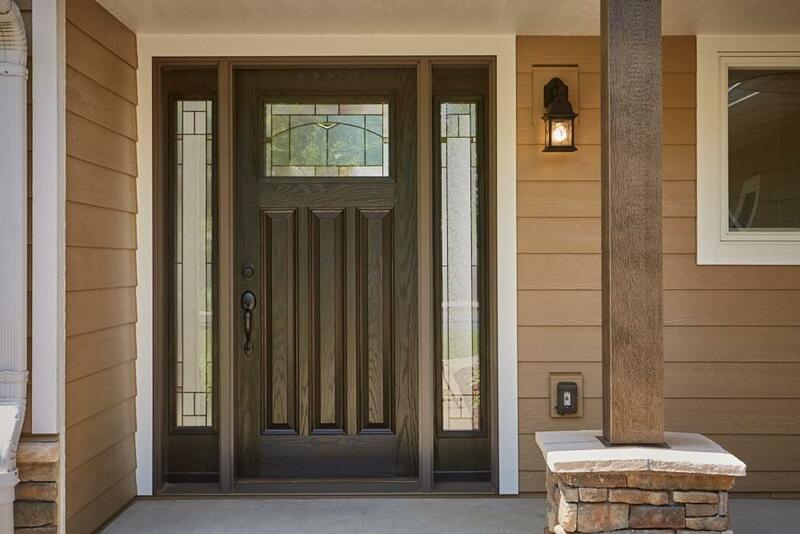 Your choice of steel, stainable steel, smooth, or textured fiberglass or steel exterior/wood interior doors to match your home style and taste. Thousands of decorative glass combinations to personalize your home and meet your desired need of privacy and light filtration. We’ve looked at a lot of doors from a lot of companies, and we tell our customers the same thing we tell our friends and family – these are the doors you want in your home – plain and simple! For the most possible protection from the elements and increased energy efficiency, many of our customers opt to install a storm door. These can be a fantastic addition to your home, but you absolutely want to work with someone who is an expert in choosing the right features AS WELL AS the right STYLE. The last thing you want is one of those ugly storm doors that doesn’t match the style of your home and sticks out like a sore thumb. 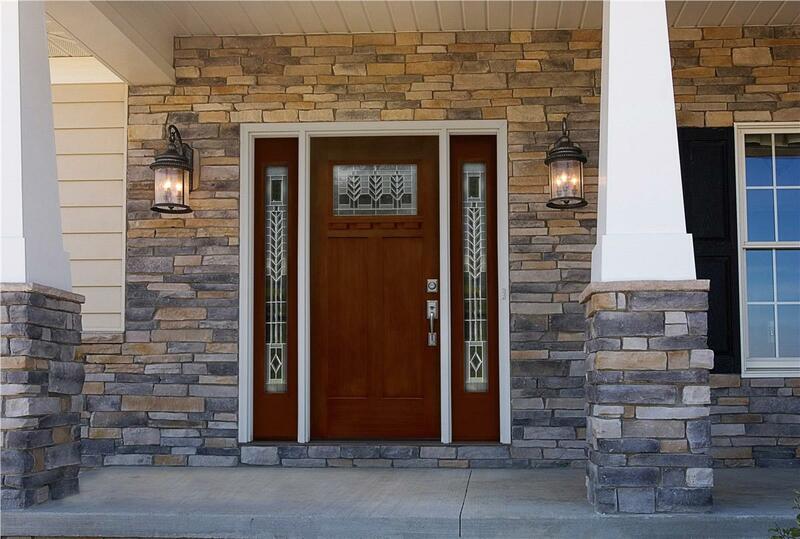 Needless to say, if you choose to add a storm door, we will not let you choose one that doesn’t work in terms of both functionality and style. 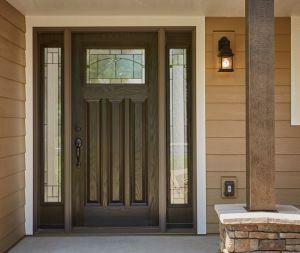 The best storm doors we know are made by Gerkin. We have installed a lot of them, and they offer the flexibility to match your home’s style while offering world class protection and energy benefits. 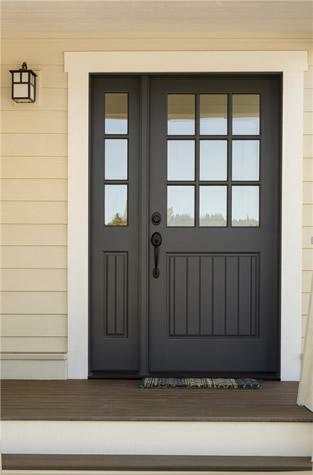 Like everything else we carry, Gerkin storm doors offer the best value that exists in a very high quality product. 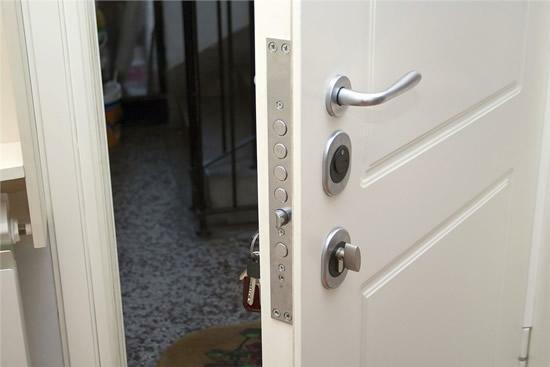 Just because you want enhanced security features doesn’t mean you have to settle for a plain white door. We offer replacement security doors that are both stylish and strong. Our Kansas, family-owned business understands how important it is to feel secure in your home, so we don’t install second-rate products. Enjoy your outdoor space even more with beautiful replacement Infinity from Marvin® sliding glass patio doors. Whether you love the traditional look of French doors or the simplicity of traditional sliders, we have top-rated sliding patio doors from trusted manufacturers that will suit your style. Your Entry Door Is Supposed to Protect Your Family & So Is Your Installer! It’s kind of ironic – and more than a little scary – that there are companies out there who send workers they barely know to your home to install your new front door. This is something that plays a major role in protecting your family, and it’s being installed by… WHO KNOWS! All of our installers work for us. They have been checked for drug use and any criminal record. And since they’ve been working for us for years,we know them – VERY WELL. If someone from Midland Exteriors is working on your home you can be absolutely certain that this will be a respectful person of integrity – and a highly skilled professional who will install your door flawlessly. If you are thinking about a new door (even if you aren’t) please give us a call to discuss your needs. You know by now that we will steer you in the right direction, and you will end up with the perfect door for your home and family or, at the very least, a much greater understanding of what to look for when you are ready. We are here to help. That may seem like an unusual statement coming from a remodeling company, but it is the absolute truth. Give us a call toll-free at (855) 735-8255 or request a free estimate online. It would be our pleasure to speak with you.